My name is Lou. I want to invite YOU to join with me to find out that math can be fun and exciting!! You must get to know me!! So I'll give you a second lesson ABSOLUTELY FREE!! No strings attached! I thoroughly enjoy tutoring math and seeing my students progress! 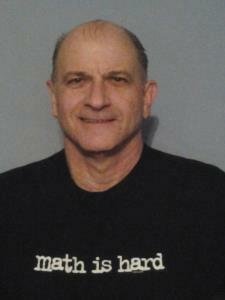 I specialize in math and have been a private tutor for MANY years. I have tutored several different math subjects including Pre-Algebra, Algebra I and II, Geometry, Math Analysis, Trigonometry, SAT, ACT, etc. My students attend middle school, high school, college and adult school. I am very proud that my students work with me to achieve a very high success rate. I am a graduate of California State University, Northridge with a degree in Computer Science and a minor in Mathematics. With over 20 years of private tutoring experience, I have dealt with students with different needs and goals. Whether math is just not your thing or you want to assure that "A", I know how to get you results! My patience is a plus and I strive to have my students understand the concepts. We can meet at your home, an alternate location specified by you or at my home in Chatsworth. My hours are flexible, day or night, 7 days a week. Louis helped me with my homework that I could not understand how to do. They were proofs for triangles that I didn't know how to work out. He was able to explain it and go step by step through it which helped me a lot.